The burger: Looks aren’t everything, right? 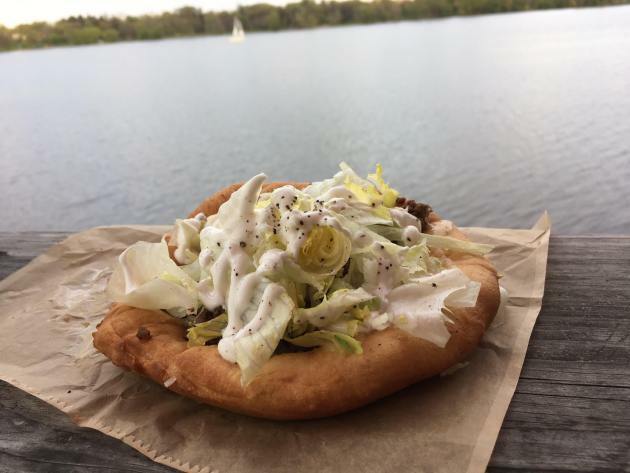 The American Indian Fry Bread at Sandcastle might not resemble a burger – think single-serving pizza-meets-open-face-Sloppy Joe ­– but it comes close to tasting like one. 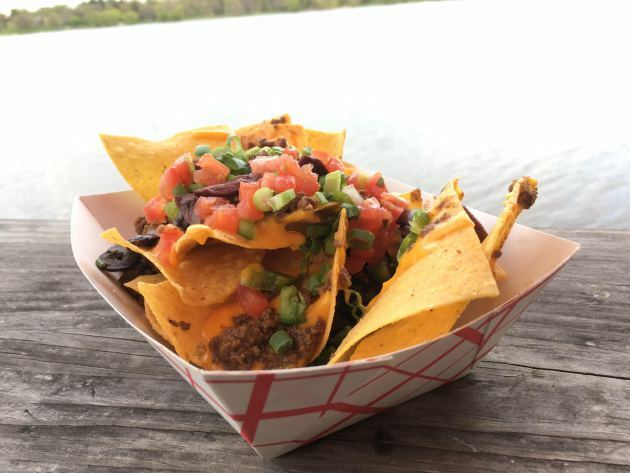 The seasonal restaurant just opened for its fifth season on the western shore of Lake Nokomis, and chef/co-owner Doug Flicker has featured this popular, sort-of burger item from the get-go. It sure is. The dough arrives, uncooked, from the flour-and-yeast whizzes at Saint Agnes Baking Co. (“They provided fry bread dough to all the casinos, so it’s legitimate,” said Flicker), and the Sandcastle kitchen handles the final legwork, tempering, stretching (into the profile of one of those round blow-up kiddie pools) and then frying it. Post-fryer, the puffed-up bread is surprisingly not greasy, and while it looks delicate, it manages to retain its shape without going chewy or tough. The uncomplicated toppings assortment includes crunchy shredded iceberg lettuce, a generous sprinkling of shaved white Cheddar cheese and squirts of buttermilk-tempered sour cream. The taco-esque results are a welcome departure for those seeking a break from burgers but still want to get in their ground beef-and-bread fix. For those who will accept nothing less than an honest-to-goodness burger, take note: Flicker & Co. crank out a limited-time whopper, serving it on Monday only, starting at 4 p.m.
Fries: Not included, but available for an extra $4.75. Chips ahoy: The big news this season is the addition of nachos. Yes, a hefty basket of crisp tortilla chips that are loaded up with tomatoes, green onions and topped with either black beans ($6.50) or seasoned ground beef ($7). Oh, and plenty of that gloppy liquefied cheese-like substance that is a hallmark of quick-service nachos. “Yeah, I got a cheese pump, which I’m totally psyched-slash-embarrassed about,” said Flicker with a laugh. “It’s a fun little thing, and it fits in with what we do.” Pair an order with one of the local beers (Fulton, Summit, Surly, Indeed) available on tap or in tall boy cans. 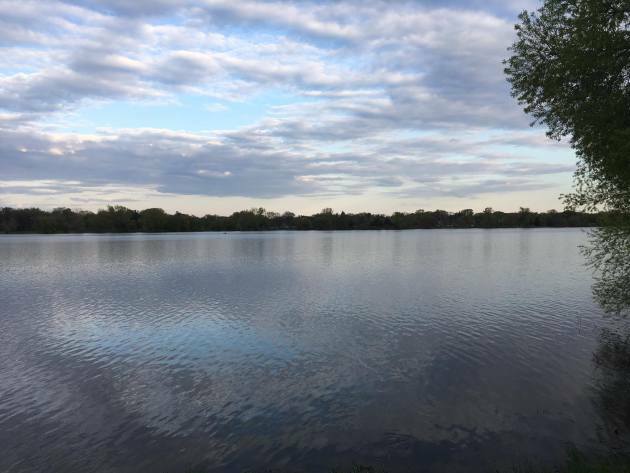 Prime real estate: In search of a rare Minneapolis lakeside view? Look no further. Sandcastle’s long, faces-the-water counter sports roughly two dozen on-the-shore seats. The vista is, in a word, spectacular. 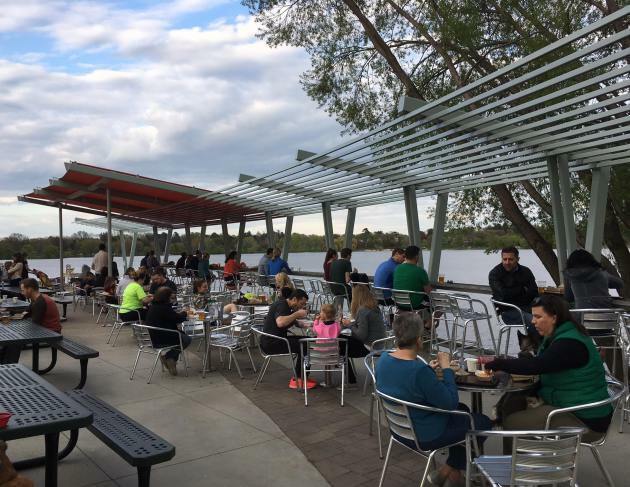 Designed by Locus Architecture of Minneapolis, the colorful and ingenious lakeside pavilion might be the most memorable addition to the city’s park system since, well, I can't remember when. Memo to the Minneapolis Park & Recreation Board: More of the above, please. Address book: 4955 W. Nokomis Pkwy., Mpls., 612-722-5550. Open 11 a.m. to 8 p.m. daily.